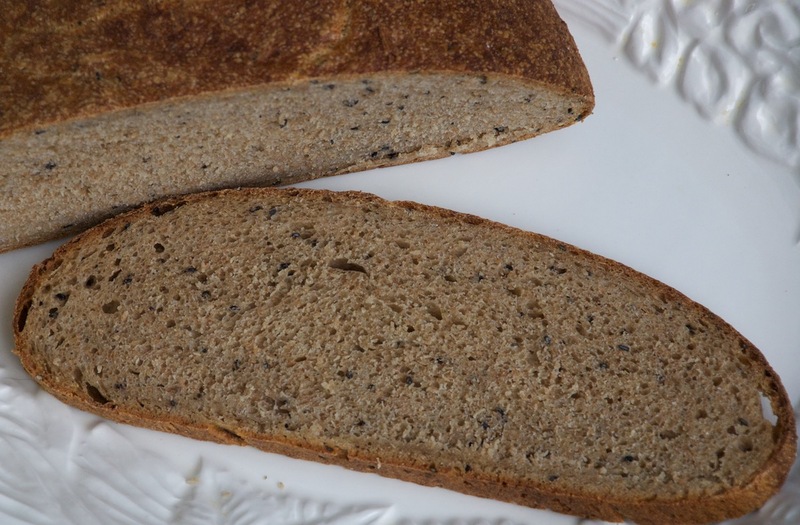 In honor of National Mutt day I baked this mixed grain bread using freshly milled whole wheat, spelt and durum flours using my Mock Mill. I also added some smoked sesame seeds to the dough itself for a little extra texture. I used a dog shaped cookie cutter to give it the "Max and Lexi" seal of approval but in hindsight I should have used an egg wash and filled it in with some seeds to really make it stand out. The final dough was very tasty with the freshly ground flours but the crumb was a bit tight for an 87% hydration dough. Mix the flours, and 400 grams of the water together in your mixer or by hand until it just starts to come together, maybe about 1 minute. Let it rest in your work bowl covered for 60 minutes. Next add the salt, starter (cut into about 7-8 pieces), olive oil, sesame seeds and balance of the water, and mix on low for 6 minutes. Remove the dough from your bowl and place it in a lightly oiled bowl or work surface and do several stretch and folds. Let it rest covered for 10-15 minutes and then do another stretch and fold. Let it rest another 10-15 minutes and do one additional stretch and fold. After a total of 2 hours place your covered bowl in the refrigerator and let it rest for 12 to 24 hours. (If you have a proofer you can set it to 80 degrees and follow above steps but you should be finished in 1 hour to 1.5 hours). all before you mentioned it. Now that is all I can see:-) Very cool. Your mutts are precious and they are lucky to have you as their master. This was a wet one and it has to be very tasty with that flour combination. I wish you guys were closer so Lexi and Max could meet Lucy. I know they would all love to play with each other. Glad you like the bread. It was very tasty...nothing like fresh milled flour. Max and Lucy and the rest of the furballs say happy baking! 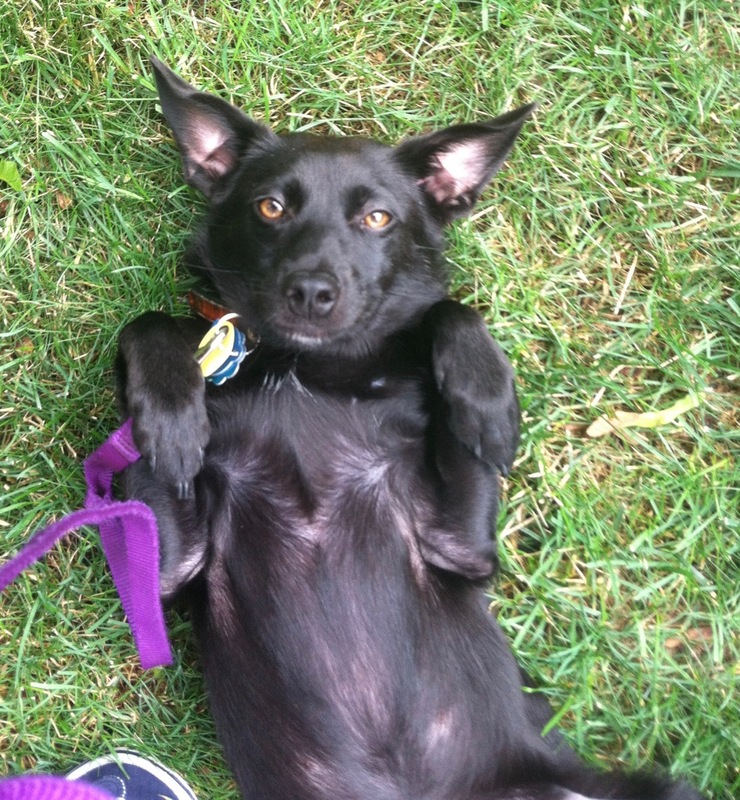 I've had exactly one dog ever - Jenny was a mutt of unknown heritage, rescued as a small pup, found alone on the street. 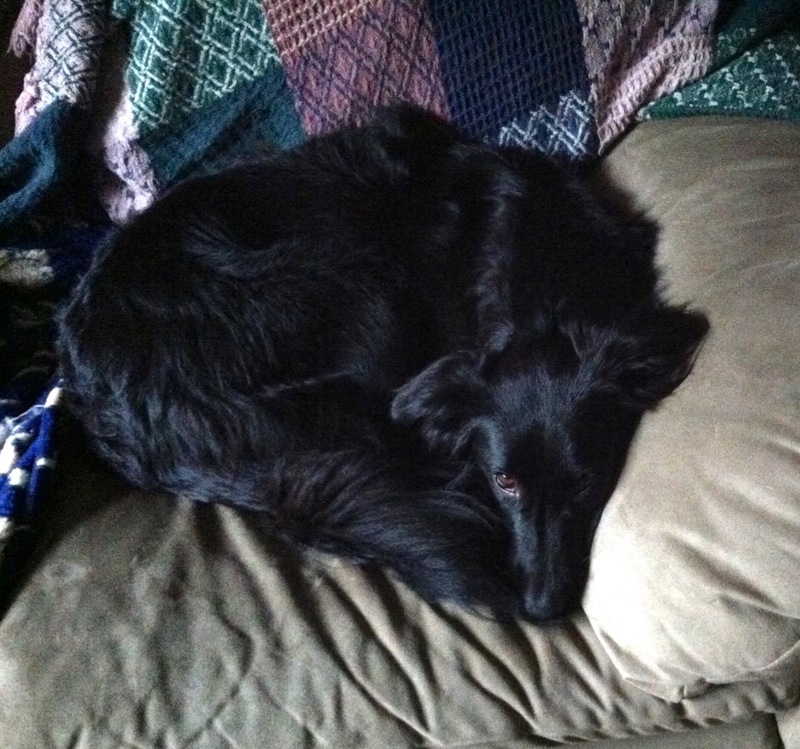 Luck had it that we came in the very next day, and as soon as her shyness gave way to bright eyes and happy tail waggin', we just had to take her home with us. She was a great companion, gentle with the kids, as they each came along, accepting of cats we adopted, as well, and we had 14 years with her. So, Yea! for Mutts and Yea! for Mutt Bread. Hugs for Lexi and Max, and the rest of the furry gang. Thanks so much for your kind words Cathy. So happy to hear that you had Jenny for so many years and she became such a loving member of your family. Max is barking and making all kinds of funny noises to let him outside :). We actually got Lexi for Max since he loves other dogs so much. They both with the cats would play with them, but usually that results in a swift paw across the snout :). 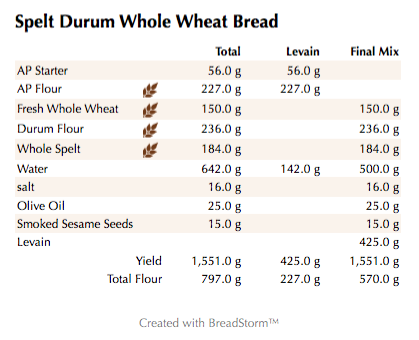 Now that I have durum flour, I can try your breads that use it. This one looks perfect for sandwiches. 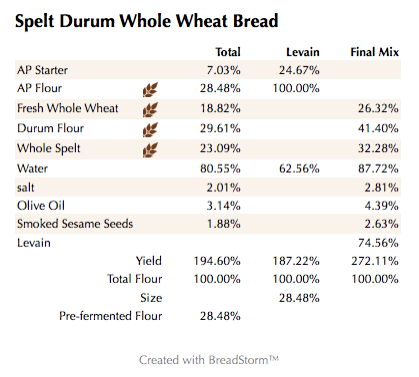 With about 70% of freshly milled flours, it must be very tasty. Thanks for sharing! 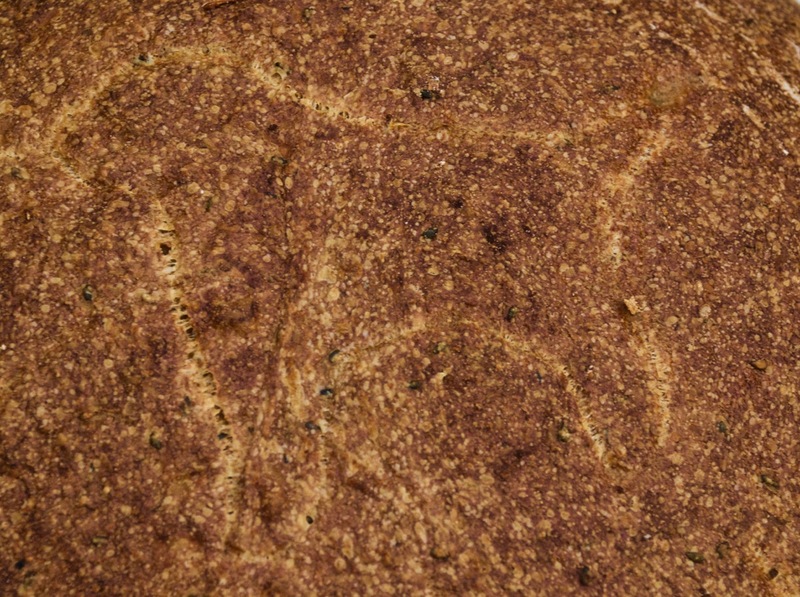 So i'm all for "mutt" bread! It looks awesome, as always. I'm sure it tasted great too. Nice to know you are a mutt lover as well! I had several dogs growing up, but it was a long time since I adopted my own doggies a few years ago and now I can't imagine life without them. and I have a mixed breed dog! Can't believe that I missed National Mutt Day, and the little beast never let on. That's a rich coffee color on that boule. 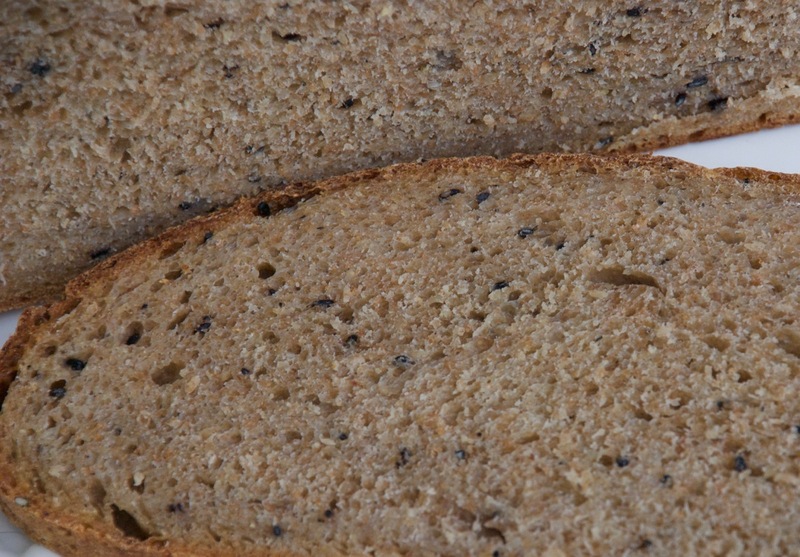 Yeah, I'm also surprised that such a high hydration has a tight looking crumb. But after having open crumb breads, in the long run, they are just another fun thing in the toolbox and not that big a deal anyway. Was the interior moist at all? I saw a photo on DA's post or maybe it was yours of your furball..what a great looking dog! My little guy Max had to have his foot wrapped yesterday since he was chewing his paw....now he looks like he's ready to play lineman for the NY Giants or Jets! I was surprised how tight the crumb was for this one. Could have been the fermentation schedule was off a bit but the crumb was semi-moist which you would expect for this type of bread. I have a potato concoction ready to bake tonight after work which will hopefully come out nice and fluffy and moist. We will see. Look forward to your next bake Alan.